Australian collaborative consumption company Qanda Technology (ASX:QNA) has signed a strategic agreement with one of Australia’s largest leasing firms to boost supply for its peer-to-peer car leasing service – DriveMyCar Rentals. The deal with McMillan Shakespeare Group’s Interleasing Division (ASX:MMS) comes after QNA’s DriveMyCar Rentals recorded a 71% growth in sales for the July to September period of 2014, compared to the previous period. Demand for vehicles has been exceeding supply and QNA says the strategic leasing deal with McMillan Shakespeare Group will boost its efforts to grow the market coverage of DriveMyCar Rentals and return even stronger sales figures. QNA has also just completed a $750,000 share placement to institutional and sophisticated investors to progress with the development and marketing of DriveMyCar Rentals and its newest collaborative consumption acquisition, Caramavan. The latest quarterly released by QNA shows receipts from customers have exceeded $1 million, a strong rise from $593k in the previous quarter, owing to improved sales. Whilst the company is not yet cash flow positive, it is looking to consolidate its strength and grow further in the coming quarter. QNA is an Australian technology firm currently capped at $6.2M with a growing stable of online businesses dedicated to collaborative consumption. This emerging sector of commerce capitalises on an increasing global trend for people renting goods and services between themselves. An example of this is the $10BN market capped AirBnB, an online marketplace for people to rent spare rooms or even homes to travellers, which unlocks value in assets that were previously untapped. QNA’s DriveMyCar Rentals allows people with a spare, or under-used vehicle, to lease it to another person for an agreed fee. This company, along the online marketplace with Rentoid and caravan sharing service Caramavan, give QNA a collaborative consumption focus and the company is working to grow each of these businesses and potentially acquire more in this emerging sector. To better reflect this strategy, QNA is considering a name change to Collaborate Corporation. This move will be discussed at its upcoming Annual General Meeting. 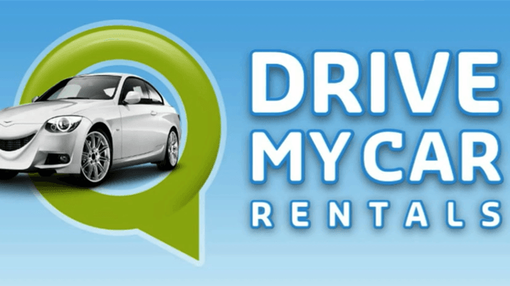 DriveMyCar Rentals allows people with spare or under-used vehicles to list them for rent. The website then connects these vehicles to customers and charges a small fee for brokering the deal. Every stage of the process is covered by insurance policies as well as thorough credit and identification checks, ensuring that trust is built and retained by all parties involved – a crucial aspect of collaborative consumption that allows value to be unlocked in assets that otherwise would be idle. QNA acquired ownership of DriveMyCar Rentals earlier in 2014 and is working to overhaul the website’s presentation, Customer Relationship Management Systems, and above all its marketing and sales tactics to grow the business. Despite achieving strong sales, DriveMyCar Rentals is finding demand for its services is often exceeding supply. QNA is working to attract more car owners to sign up for the service through its marketing efforts but has found a way to augment this effort – a strategic agreement with McMillan Shakespeare Group’s (ASX: MMS) Interleasing division to supply vehicles to the peer-to-peer marketplace. MMS is a leading Australian specialist services company founded in 1988 that focuses on salary packaging, novated vehicle leasing and fleet management. It made profits of $55M in 2014 and manages fleets of vehicles throughout Australia for government departments and large corporations. Under the agreement, late model ex-lease vehicles owned by Interleasing will be rented to private drivers through DriveMyCar Rentals, greatly increasing the pool of vehicles available to the peer to peer network’s customers and underscoring QNA’s efforts to expand the business across Australia. QNA’s Chief Executive Officer Chris Noone says the deal is a win for both companies. “We are very pleased that DriveMyCar Rentals has delivered a solution to Interleasing that increases the financial returns from their vehicles,” he says. The move to expand DriveMyCar Rentals’ pool of cars comes after the company’s business unit has reported strong sales results for the July to September quarter in 2014. Net days sold for car rentals were reported as 71% greater than recorded in the July to September period in 2013 and 40% ahead of the April to June 2014 quarter. QNA has also completed the acquisition of its third collaborative consumption business – Caramavan – an online community that allows people to list and rent privately owned caravans and campervans. In Australia, over $7BN is spent on caravan holidays every year and QNA wants to use its 100% stake in Caramavan to grow a large peer to peer market within that space. To complete the acquisition, QNA has issued 50 million fully paid ordinary shares priced at $0.002 per share, 50 million unlisted options over fully paid ordinary shares priced at $0.002 and 25 million unlisted options over fully paid ordinary shares at $0.003 with some placed in voluntary escrow. QNA now has a presence in three rapidly growing collaborative consumption markets and says it’s still looking for more investment and acquisition opportunities. QNA has just completed a placement to institutional and sophisticated investors, raising $750,000 through the issue of 375 million fully paid ordinary shares and 187.5 million free-attaching options exercisable at $0.002 each and expiring on April 30th 2017. Stockbrokers DJ Carmichael acted as lead manager and QNA says the money will be used to underpin its growth strategy for DriveMyCar Rentals and Caramavan as well as providing working capital. This comes as QNA prepares to propose a consolidation of its capital to shareholders at its upcoming Annual General Meeting. QNA plans to do this via a one for ten offer – where every 10 shares held will be consolidated into one share. Fewer shares on issue should reduce volatility in the QNA share price, which can currently jump in a minimum 50% increment – from $0.002 to $0.003. QNA says it has also negotiated to amend the maturity date of a convertible note facility of $75,000. This was due to mature on the 12th of September 2014 but the date has now been pushed to the 12th of December 2014. All other terms for the note remain unchanged. Also, QNA says it’s paid another convertible note facility worth $100,000 following the receipt of an R&D rebate from the Australian Tax Office. The note was due to be repaid on January 15th 2015 but it’s now been cleared from QNA’s books.